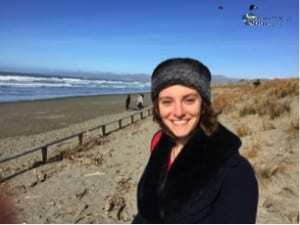 Serena Tagliacozzo is a PhD student in the IRDR who is investigating the requirements for a web-based platform to allow effective communication between authorities and citizens in the disaster recovery phase. The platform would allow citizens to effectively share their knowledge and experiences with planners and developers, and for authorities to communicate plans to interested parties. Serena has recently visited Christchurch, NZ, to discuss with citizens and authorities the effects of the 2010 and 2011 earthquakes that destroyed parts of the city. She shares her experiences in this post. When I arrived in Christchurch, on the evening of the 8th August, it was dark and cold. The morning after, the city welcomed me with some snow, which fortunately stopped after few hours. Walking across the city centre, my impression was of a big construction site, with repair works in progress everywhere. The red cones dispersed throughout the city remains the symbol of the Christchurch’s struggle to recover from the devastating earthquakes that hit the Canterbury region in September 2010 and February 2011. Following these two large events, the whole area experienced moderate to severe aftershocks for almost two years, making it more difficult for the repair companies to start the demolition/rebuilding of the damaged infrastructure and dwellings and for the population to return to normality. 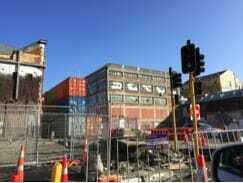 After almost five years from the earthquake of February 2011, Christchurch has now entered into the reconstruction phase. Many aspects of this reconstruction process remain controversial. 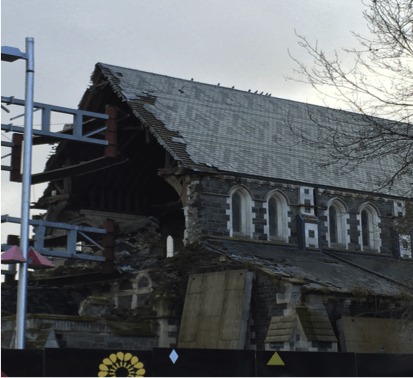 For example the future of the Christchurch Cathedral (which dates back to the 19th century) is uncertain, with some people wanting to demolish it and rebuild a brand new one while others advocate preserving the historical building. The controversies do not exist solely on the rebuilding of the physical environment. The city is split socially, between those who experienced less damage and had their houses repaired in relatively short time, and those living in the most damaged areas whose property has not yet been repaired. For these people, most of who were living in the east part of the city where the liquefaction caused a drop in the ground level (which resulted in an increase of the flood risk), the recovery is far from being complete. The scope of my fieldwork was to gather data on the communication practices that take place between government agencies and residents during the reconstruction phase from the Canterbury earthquakes. During the course of my fieldwork, I had the chance to interview and speak with many people from community based groups and associations born in the wake of the earthquake. All of them shared with me their stories of hope and the struggle to recover and to be listened to about their concerns for the future of their city. They also voiced a general distrust toward some of the authorities in charge with the management of the recovery process and concerns about the centralisation in the decision-making. I also had the chance to interview and meet with government officers working in the main recovery agencies, including Christchurch City Council, Stronger Christchurch Infrastructure Rebuilding Team (SCIRT), Canterbury Earthquake Recovery Authority (CERA), Earthquake Commission (EQC), New Zealand Police, Red Cross, District Health Board. They told me about the challenges of leading a huge recovery effort and communicating effectively with increasingly frustrated residents. They also confirmed the importance of communicating timely and accurately recovery information through a multitude of channels so that to reach out to the different social groups. Within this communication landscape, social media platforms are being embraced by government agencies to reach a broader audience. What I will take from this fieldwork is the incredible struggle of Christchurch and the Canterbury region to bounce back (or bounce forward). Whilst some choices made regarding the management of the recovery process are debatable, it should never be forgotten that recover from a disaster is a long-lasting, complex, challenging and sometimes nerve-wracking process. This is true for the residents that live through it, as well as for the government agencies that lead it. Good communication practices between recovery agencies and residents can make this process smoother and more participative.